First annual Art Walk at Citrus will be on April 30th from 12 - 3pm. Come join us as we honor and celebrate student works of art. Ms. Contreras art students, Norali Solis with collaborators Jaqueline Corona & Alma Tapia, painted a giant-sized SpongeBob. 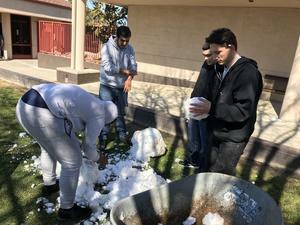 Thanks to Mr. Vehrs bringing snow, students were able to enjoy making artistic figures in Ms. Contreras Art class. 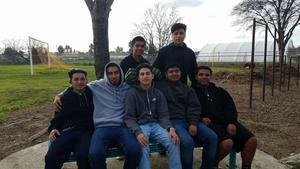 First home game vs. Tulare Accelerated Charter - Go Cougars! 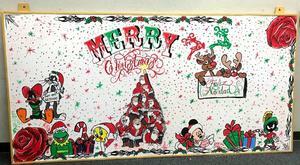 CHS students displaying their artistic talent in Ms. Contreras art class creating Christmas murals. 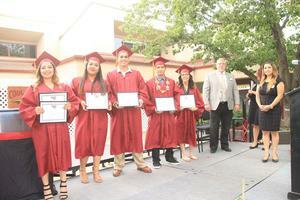 Relive the CHS graduation ceremony.